It was Saturday 6th of May. Myself, Lenny and Lloyd were part of a group of 8, who were meant to go to Galway on a sea fishing trip. As faith would have it, I got a call from the skipper, my pal John Fleming saying that the trip couldn’t go ahead as there were winds forecast and a small craft warning had been issued. Not to be too disheartened, the three of us decided to make the most of the weekend and said we would go tench and bream fishing instead. Our trip with John was rescheduled for a couple of weeks’ time. We opted to try a new water as many of the lakes we normally fish, are being hammered at the minute. We sat down, put our heads together and came up with a plan. We chose a lake and headed off at 11 o’clock on Friday night. When we arrived at our chosen venue, there was very limited access for 3 of us, so we agreed to cut out a new swim. It was about 3am when we had enough room raked out. We mixed up 3 buckets of breadcrumbs with some bags of ground-bait, some hemp, corn and casters. 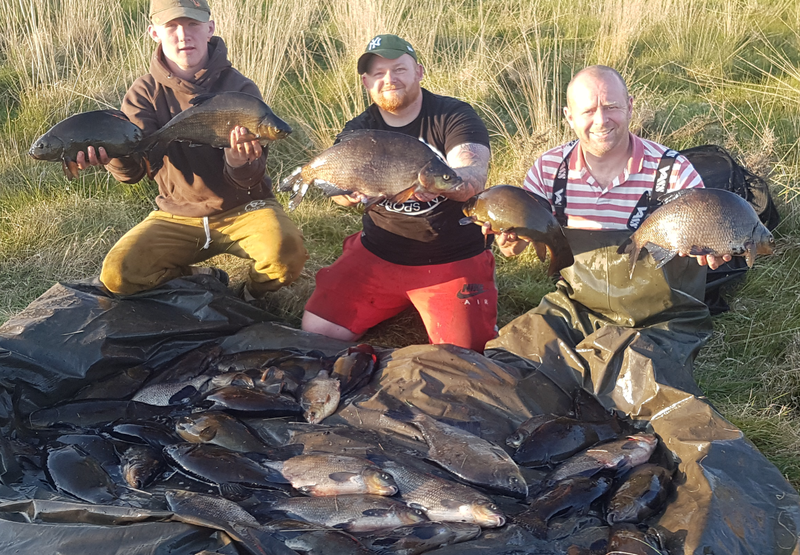 We then made 100 bait balls from the buckets and under armed them out into the swim. We set the bivvies’ up and got the rods out. 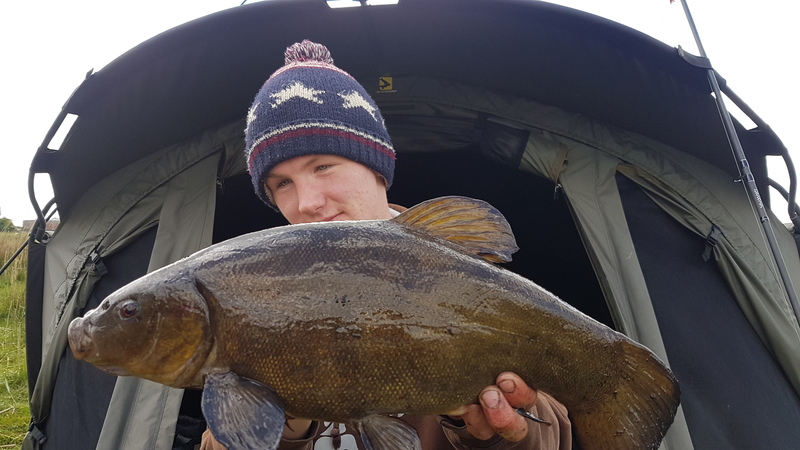 We were using worm, corn, maggots and casters as bait, while Lloyd showed us some of his Carp skills and shared some pop up boilies. Rods out, alarms on and very tired after a long night, we went to bed at 5am to try and get some sleep. None of us could have imagined what was about to happen. At 7am I was woken up by the screams of Lloyd’s alarm. He shouted I’m in lads, putting on my wellies, I rushed to his aid with the landing net. 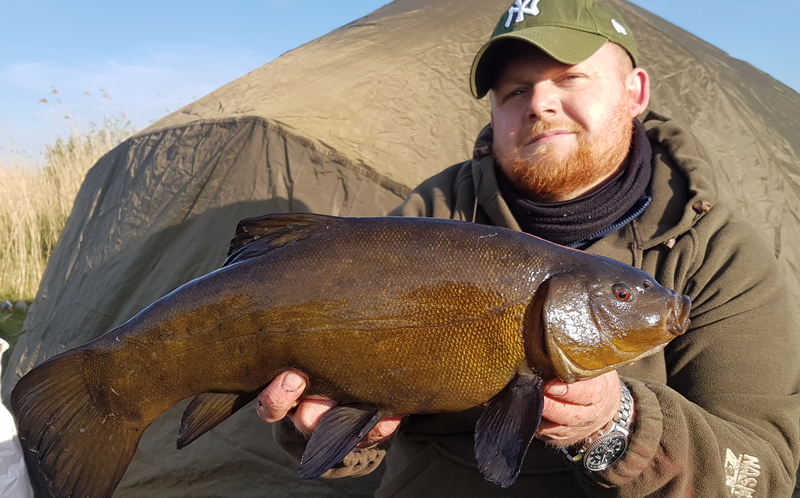 It was a 3lb Tench. We fished for the next 36 hours without a wink of sleep, landing fish after fish. 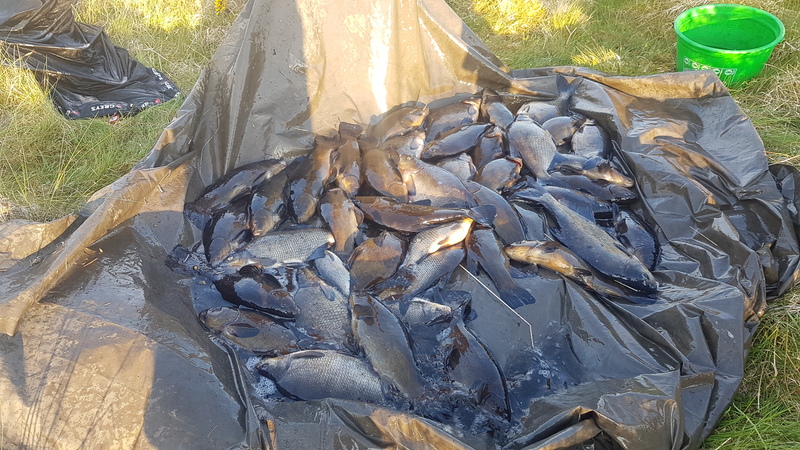 At different stages, every bait worked to catch both Bream and Tench. 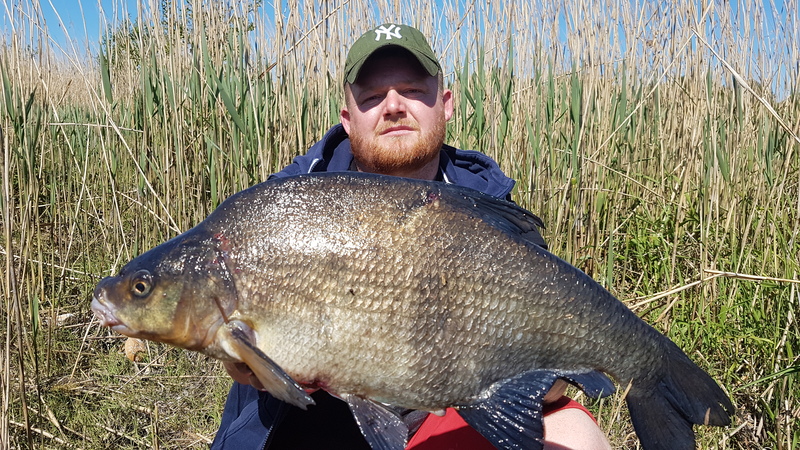 In total we had 18 Bream and 28 Tench, a new wild Irish pb for Lloyd of 5lb, he has a 6lb 8oz captured in France on one of the amazing trips he went on with his buddy Chucky. 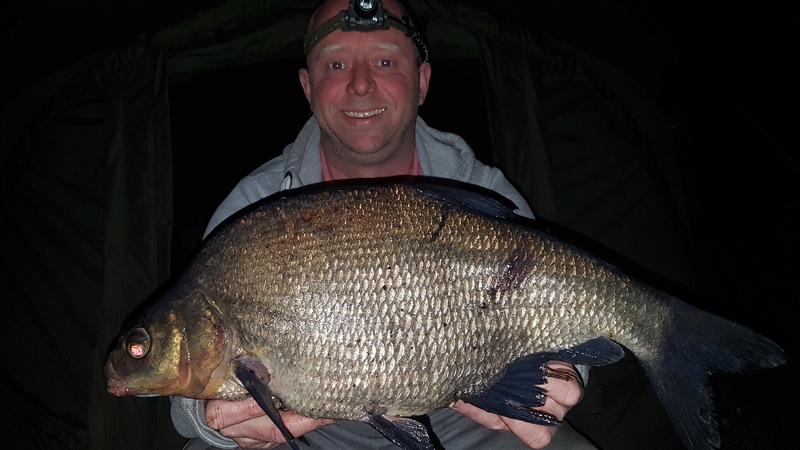 I also had a new pb of a 6lb 5oz Bream with Lenny just short of his pb when he got a nice Bream of 5lb 4oz. When everything died down on Sunday about 3pm, we pulled in the 2 keep nets, weighed the catches, took a few quick photos and released the fish to grow and be caught another day. The total weight was just over 150 lbs. This didn’t include the various small Roach and Rudd we never bothered putting into the keep nets, or Lloyd’s 2 Jacks of 4 & 5 lb. respectively. We packed up and headed home to Dublin, 3 very tired but very happy men. 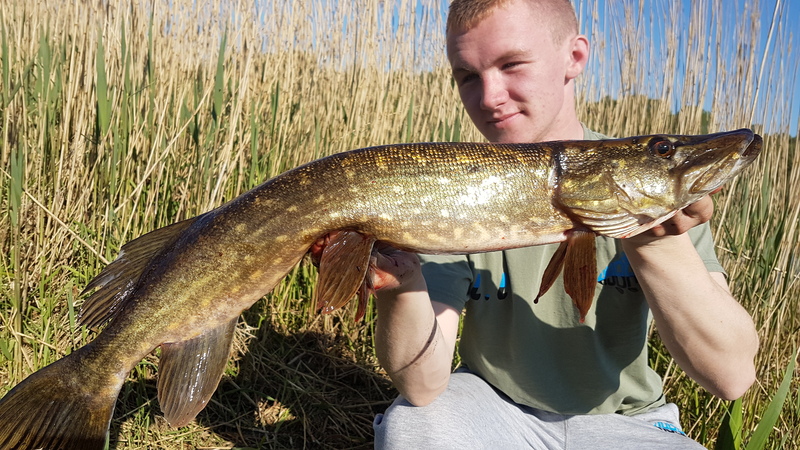 It was deffo one for the books and it just goes to show, none of us ever know what is out there in the thousands of un-fished lakes in this amazing country we live in. 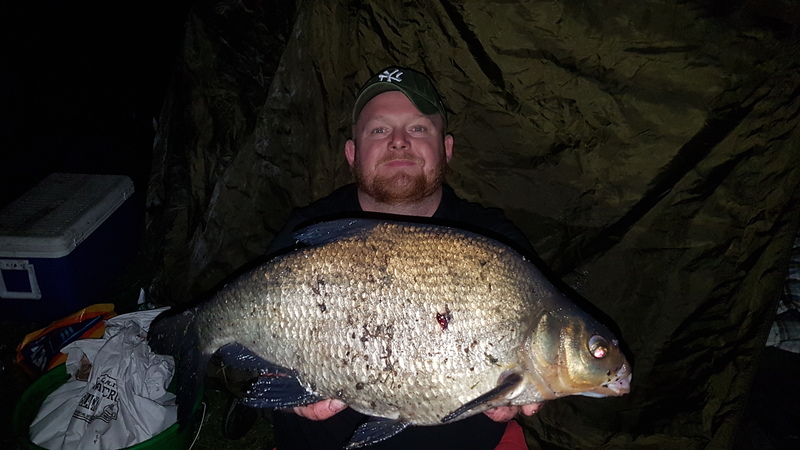 This entry was posted in Coarse fishing and tagged Bream, Dylan Condron, Lenny, Lloyd Lynch, Tench. Bookmark the permalink.